Imagine an average morning for Vic. It’s a lot like your average morning, until the point at which I proceed to check out LG and get started on some work. That seemed like the case this morning, even with Dom’s newest article, until I stumbled upon something that made me look at all those hints we’ve been getting regarding the possibility of a new Half-Life, in a whole different light. Read on! So the go ahead has been given to drop Half Life related hints. Basically confirming what others have been speculating on the forums. We will see where things go from there. Saurabh is a very credible source. Not only is he a Steamcast co-host, but he was also part of the nine Potato Fools’ Day ARG Champions, who were flown out to Valve for an extensive tour and an opportunity to play Portal 2 almost a full day before its release. He continued making various posts on the Steam Forums after that, including a few tweets on the Steamcast Twitter account that have since been taken down. But he has made an official statement on the matter, clearing up and clarifying the whole situation. Let’s take a look, shall we? The information that I recently disclosed was 2nd tier information. 2nd tier information spans out on 2 levels. Leveraged is or was in contact with a contact that is friends with this Source connected with Valve. The Informant contacted Leveraged with some information, and Leveraged wanted to see what part of that information could be shared with you while still maintaining the integrity of Valve secrets, so he came to me (Spitfire) to get my opinion on it. We are still not 100% certain of the credibility of the Informant… however, everything he’s said so far has been correct dating back before the announcement of CS:GO, so we’re optimistically hopeful. Keep in mind that Saurabh is essentially acting alone on this. If all of this is wrong, he will take responsibility, along with Leveraged. Whatever happens, Steamcast remains a solid source, and Steamcast as a whole has nothing to do with all of this, as Saurabh acted on his own discretion in broadcasting this information. However, Leveraged himself is a very credible source as well. He is the admin and founder of the Valve ARG Wiki, and he was also part of the nine ARG Champions. So I am definitely willing to give these two the benefit of a doubt and believe that they’re not trolling us, and that they have placed their trust in this source with good reason. In addition, these two tell us that this informant of theirs is getting their info straight from a Valve employee. And that the information he has been giving them (since before the CS:GO reveal) has always been real, never fake. For all intents and purposes, I think this might just be real. Let’s not be skeptical just for the sake of being skeptical, folks. So what does this mean? Well, it means all of these hints aren’t just fantasy. It means they might be reality. And it might also mean that a formal Half-Life reveal isn’t that far away now. Otherwise, what would the point be in leaving all these hints? Still, don’t take this as a sign that Half-Life 3 is about to be announced. Don’t make unnecessary assumptions beyond all this. Just stay calm and hang in there! Maybe our time is coming, fellow Half-Life fans. Oh, and just as a quick noteL there’s more hoax websites out there right now. Both “Black Aperture” and “Atramental Plateau” have nothing to do with Valve, so be on the lookout for these two fakes. They were created by trolls who have, yet again, succeeded in fooling much of the “gaming press”. You think these guys would do a touch of research before reporting on this stuff, as a simple search at Whois Lookup reveals that both of these sites are not owned by Valve. We won’t even bother to do a “name-and-shame” this time for all the sites that got suckered in. It just isn’t worth it. Its kinda like an on-off thing XD one says “yep its on!” then gabe comes and says “Nope.avi”.. But i dont think gabe can simply say “yep, is real”..
stop this Vic I’m having seizures! Damnit Vic! My heart can only take so much! Wait one minute! Why would you believe the man who is trying to secretly give us hints!! That’s like asking a politician if he is a liar. This is a conflict of interest! Gabe, I love ya, but you’re not a credible source in this situation. So this has been debunked by an email? An email of the same sort was announced fake by you in a previous email regarding E3 2012 so what makes this email so credible? ^Valid. This wouldn’t be the first time someone’s used Photoshop to trick Half-Life fans. Didn’t Gabe “promise” free games after the attack against the forums? “Random e-mail”? Really? Would I be posting about the e-mail, had I not verified its authenticity? Speaking of, how does this effect the previous article, the one about “Borealis”? Is that a mere coincidence? Sorry about my earlier post, I didn’t realize who sent the email :/ Considering that, it seems unlikely to be fake. I’ll try to do more research next time! I find it extremely hard to believe this. Valve would not just tell someone, Oh! Now is OK to hint at it! They are, of course, smart enough to know they have to at least present the subject with a series of embargo contracts (or something) that would not let the person reveal more than Valve wants them to or even acknowledge the fact that Valve gave them the go ahead to hint. In fact, that’s what any developer in the age of the internet and whatnot should and is doing. And even if Valve basically just trusted the guy with the secret and gave him the PRIVILEGE of hinting at the new Half Life title, the guy should have known enough to not just spoil the surprise. Let me write this with some Internet ink, as a question to all of you people who are constantly talking about “Half-Life 3”. Apart from that t-shirt we saw a while back, has anyone from Valve ever said or even mentioned anything, in any dev commentary or interview, about a game called Half-Life 3? As opposed to Episode Three, that is more likely the sequel that we can expect to come next. There’s no way we’ve waited 5 years for a mere episode. If Valve announces “Episode Three” and not “Half-Life 3”, they’re going to be the laughing stock of the industry. But we don’t know how much of an “episode” it will be. It could be at least 12 hours of gameplay waiting for us, that wouldn’t be too much of an episode. My bets are still standing, next game will be named “Episode Three”. And yes, quality over quantity. It could be 7 hours and totally mind-blowing. If it’s not an episode, then they won’t call it an episode. It makes no sense. Is there a definition of what a video game episode is? Like, are there any rules? No Valve employee has ever referred to Half-Life 3. Give me one instance. Except for “the Half-Life 2 episodes are essentially Half-Life 3” that is. And I believe that you are forgetting Gabe participating in an episode of P17 just a few weeks after that, stating that THAT was not a 100% accurate statement, actually taking back what he had said earlier. I remember listening to it when it was released, but haven’t listened to that podcast since, so my memory MAY be failing me. I believe you’re forgetting to provide a source for that. Moreover, you somehow managed to completely mix up the idea of abandoning singleplayer releases with the idea of abandoning episodic releases. The former is what Gabe spoke about in the Podcast 17 interview. Just came back from refreshing my memory (hence the lack of a source), turns out I was wrong. Butternuts. However, Gabe is referring to the game as Episode Three in the podcast and that was one month after the “Episode” article was published. I may be wrong about this as well, but at least this time I have a source. It is irrelevant. In fact, if it actually is Half-Life 3, then he has every reason to call it “Episode Three”. Even so, it means absolutely nothing because the game hasn’t even been announced yet. No, no I was not. He never specified whether they were done with that model before or after finishing what they had already started, so it proves nothing. “Finishing”? You must be joking! They’ve finished absolutely NOTHING with regards to Half-Life. Moreover, every Valve enthusiast knows just how flexible they are and just how easily plans change for them. Don’t fool yourself – that quote carries more weight than any other statement from Gabe regarding Half-Life. That gave me goosebumps, oh please let this turn out real, let them announce it this year, I don’t think I’ll be able to stand for another year. I’ve been training for days like these for years, my body will know when not to get hyped over speculation…It’s not working! 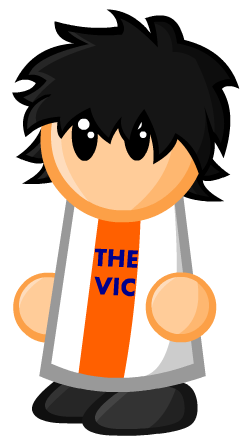 Vic. You. Are. Driving. Me. Crazy. Ooohoohoo, this doesn’t seem so ambiguous! Can’t wait to see where the story goes from here. I’ll give you this one, Vic. I should disconnect myself from the internet now, or it will end like the potato arg, I’m sure. that. Is. Epic. Here’s hoping the sources arent just pulling our legs! Anything could be a hint they have a few games which to drop in clues they have a whole army of games they could do the same it’s like a needle in a hay stack. So this means… HALF-LIFE 3? !